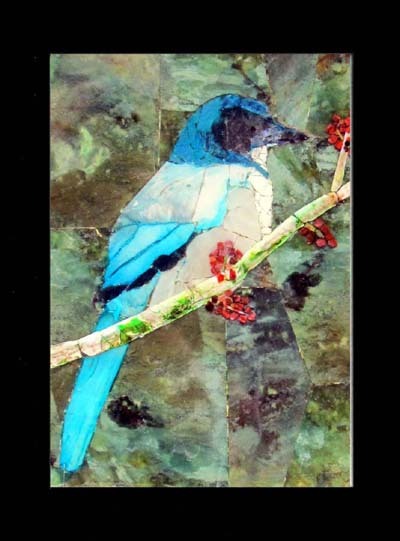 A mosaic of semi-precious rocks, petrified wood, and sodalite and agate are inlayed together to form a majestic bluebird perched on a berry covered branch crafted out of stained seashells. Over a mossy colored canvas of green agate this striking figure rests. I carefully select the materials by their aspects such as the grain and natural color. Every month I plan on sending out one image in order to promote the beauty of the piece and my craftsmanship. So please share it with your friends and have them notify me at eldonconder@hotmail.com to sign up for the monthly emailing.